It is 10.07. What possessed me to ask Rosalind to hide the chocolate chips from me? 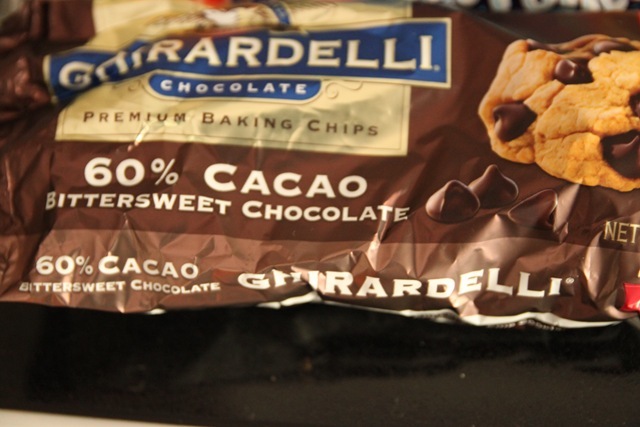 Ghirardelli chocolate chips, not Hershey’s, I should be clear. I have thought of waking her and shaking her recumbent body until it divulges their hiding place. Not quite up to this, I have conducted a rigorous search of the basement. Basements represent child’s domain in the US. I have found tennis balls, cobwebs, a lost doll’s bed. I have been through a box of exorbitantly priced chipmunks – also known as Calico Critters. I have searched the Lego (Duplo and senior variants) and a tub of princess Play Mobil. Not under the sofa, although a lot of other stuff was. Not in the doll’s house and not in the mini-picnic hamper inside the miniature kitchen cupboard – which was such a perfect hiding place that I felt slightly annoyed with her for not sharing my hiding finesse. Not under the spare bed, above which a large image of Audrey Hepburn surveyed me demurely from the less basement-like surroundings of Tiffany’s. Superior she may be but if I had reached breakfast I would not be on this sugar crazed mission anyhow. I am not going to go out to buy some. I am not going to attack the Principe bag (Chic Florentine department store) of Halloween candy. The bag is the only thing that makes the stuff palatable. And yes we still have it (the candy as well as the bag). Last year the ants found it faster than the children. They were marching on saccharine stomachs. It took duct tape to keep them out. I am going to give up and add a new section to this blog which is edible. I want to be clear though, whilst I may be obsessing about chocolate, this will not be a foodie blog. There are all too many of those out there and even without them the Food Network is enough to give one indigestion. The New York Times just had an article in their food section commenting on how female cooks on the Network all have deep cleavages, whilst male cooks dress in chef’s white and wield cleavers. The division of the sexes. If there is anyone out there who can cope with more than 5 minutes of Giada de Laurentiis please let me know. Barbie goes cooking and adopts wierd name. I had to renounce the Food Network, which meant forsaking nearly every other US channel, for fear of it driving me insane. With no entertainment – I guess that is why I now write a blob. This entry was posted in Biro & Pad: Jottings and tagged Chocolate chip, Food Network, Parenting. Bookmark the permalink. Hahaha excellent posting! Ghirardelli chocolate is amazing and worth the search. This posting is quite funny to me because my mother did the same thing- I had to hide the Girl Scout Cookies from her. She eventually tore the house apart before finding them in Bridget’s dresser- which I actually thought was a pretty secure hiding place. I suppose she was desperate (: Also very true about basements. There are all sorts of pieces of debris hidden around. And lastly, I look forward to reading the “Edible Ink” section (or however it has been renamed)!